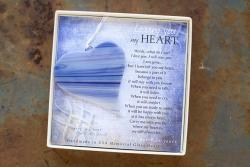 The heart measures 3", hangs from a white ribbon and comes in a 5.5" x 5.5" white gift box. The recipient will be touched by the words of comfort written on the gift box. 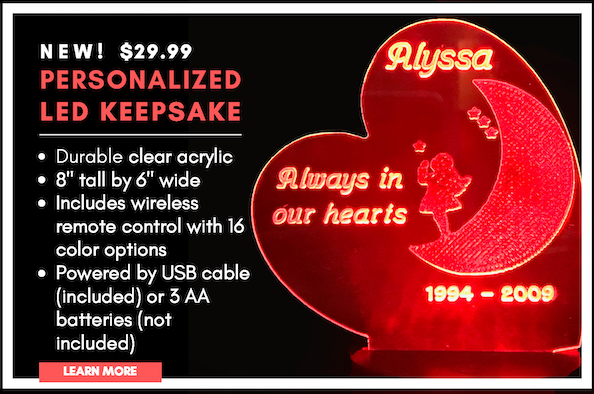 Can be hung as a window catcher, on a china or kitchen cabinet knob, from a rear view mirror or on a holiday tree or stand.